This time last week I had the pleasure of once again taking some pics for my favourite retail company and one of the elements was food. As the food was not the focus, I purchase some pre-made food items for the shoot. One of those items was a plain ready made sponge cake, in fact, two sponge cakes in the one package. I only needed one for the shoot, so I had one left over. As I was in no way going to eat the cake and I hate wasting food, I decided to get creative with it before it headed for the trash. 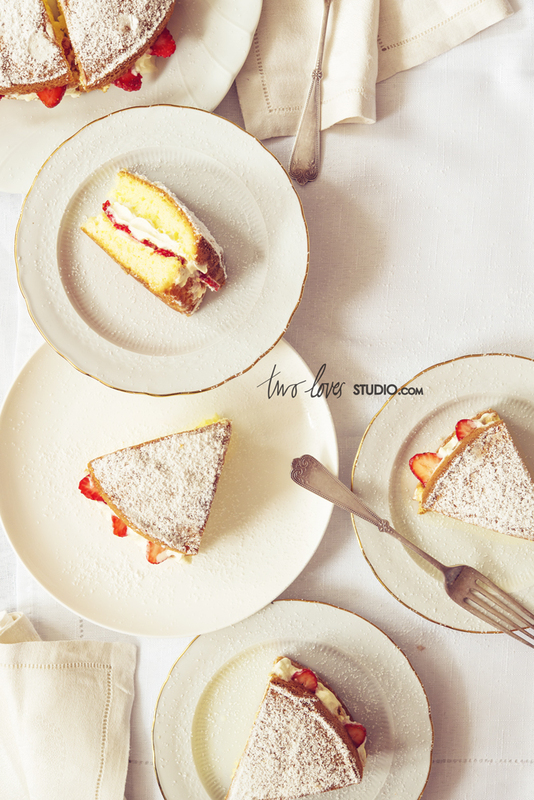 Accompanied with some cream, strawberries, powered sugar and some borrowed linens from Zoe, I spent the morning playing with cake and powered sugar on the floor of my studio. I had such fun! There was no pressure with this shoot. Lately most of the things I have been shooting have had a sense of urgency as they start to melt or go limp. The cream did go south after a little while, but that is the beauty of whipped cream in a can! I tried lots of different ways of showcasing the cake, not all worked and some were fun but didn’t make sense. I even smashed the cake with my hands at the end – satisfying the kid in me, but ultimately only these four made the cut. I just love the shapes and the unique stories each image tells. It is hard for me to pick a favourite – but I think the first one takes the cake! Yumo! That sounds amazing and I love the idea of making your own. Strawberries are the best. 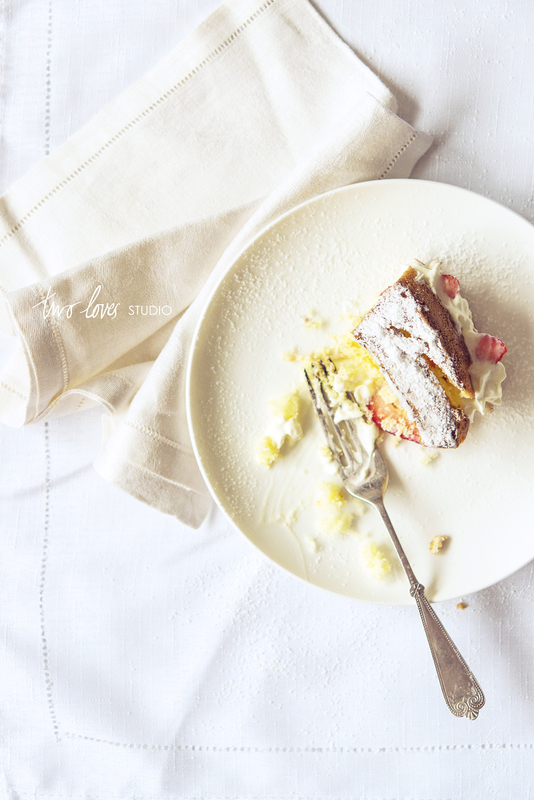 I love that you’ve managed to pick up the delicate textures of the white linen and white icing sugar, which can be so easily lost in the fray. Personally the last one is my favourite, although I would have loved to have seen some cake smash ones! You have a good eye! I do like the last one as well. Better than the one before it, but I felt like a full circle of cake needed to be included. This was probably my second favourite. I had wanted to do something like the first image for a while. So was proud to say it was the best! Yay! I am not the best baker either. My Matt is much better than me. Beauty comes in all forms, and sometimes the best is the homemade beauty! Hi Rachel, my name is Rosina Dellepiane and I live in Uruguay,South America. I loved your page presentation. So much that I would be very happy if I could get the Sponge cake recipe. 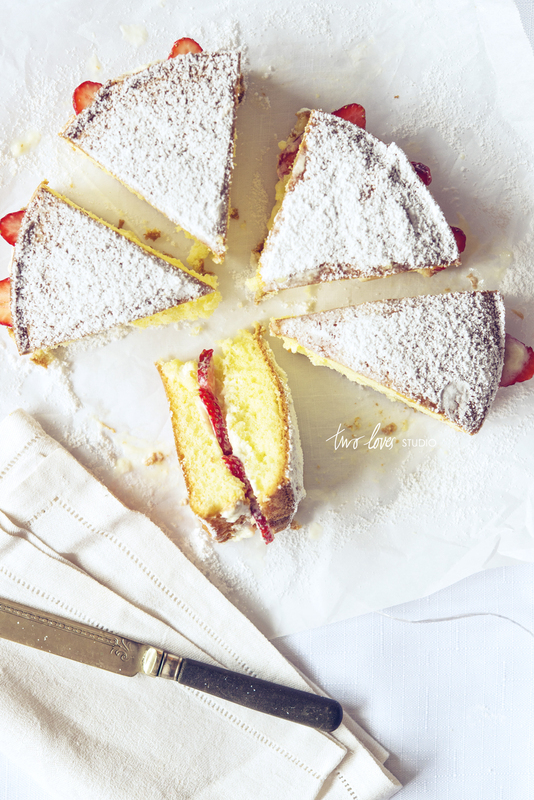 Hi Rosina – I did not make this cake. It was bought and was used for a shoot I was doing and I decided to get creative with it instead of eating it. Looks good hey!